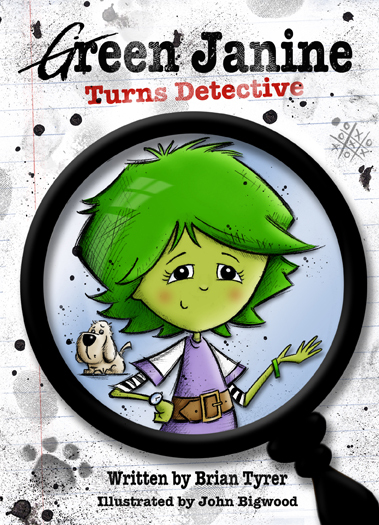 An independent girl who won’t take ‘no’ for an answer, Green Janine is determined to solve the case of the missing tiara. She goes to the house of Bob and Bill the burglars to arrest them. But when she puts her ‘no plan’ plan into action, Bob and Bill turn nasty. It is looking bad for the dog, and not so good for Green Janine. So how is it that those two desperate criminals end up in the bag?